Expensive waterfront homes along the Bay of Quinte used to take a long time to sell, even by County standards, but not lately. 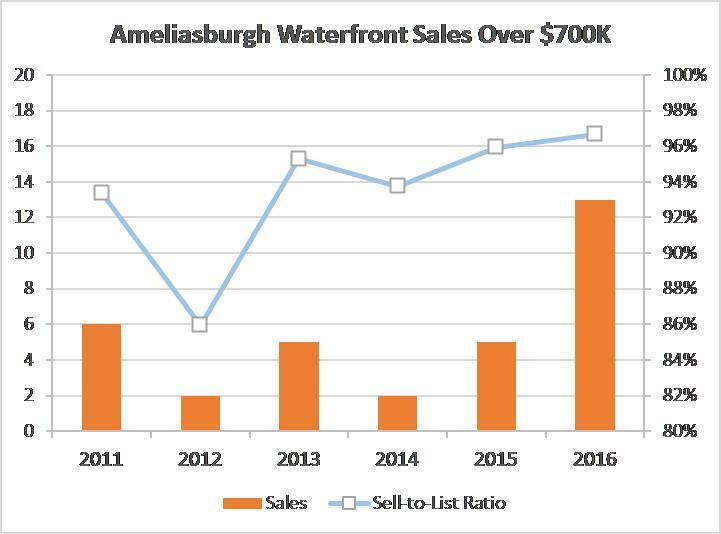 For the 5 years between 2011 and 2015, an average of 4 Bay of Quinte waterfront homes listed at $700,000 or over sold each year. 2016 is not over yet and already 13 such homes have sold, more than 3 times the average for the previous 5 years. The bump in demand is also reflected in the selling to listing price ratio which has increased to near 97% in 2016. There are no developments in the local economy which would explain this spurt in demand for more expensive homes. Anecdotally, much of the increased demand is coming from Toronto, where there is likewise no economic growth to support the explosion in home values. If you’re in the market for one of these waterfront homes, prudence is in order to avoid buying at the top of a market fueled by a Toronto bubble.